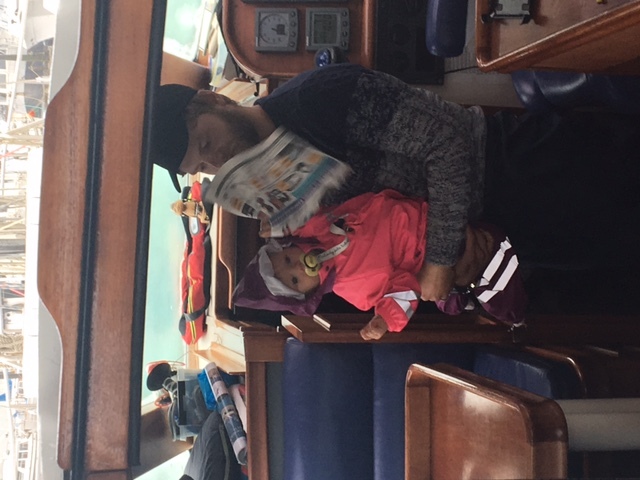 Time for goodbyes. 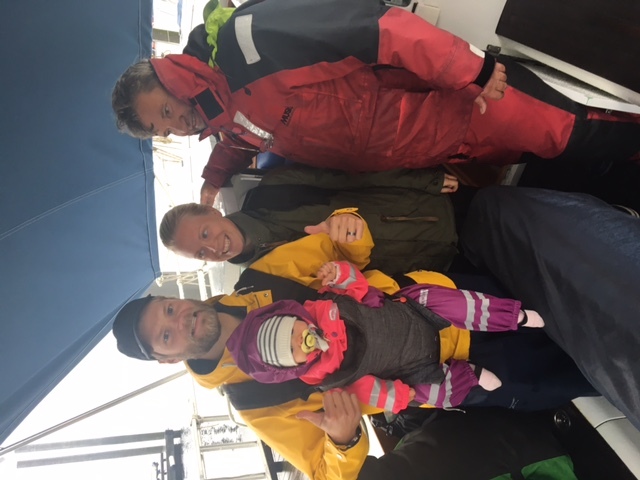 Hilma and parents now move to sunny and dry Los Angeles for R&R after being onboard for 3 lovely weeks. 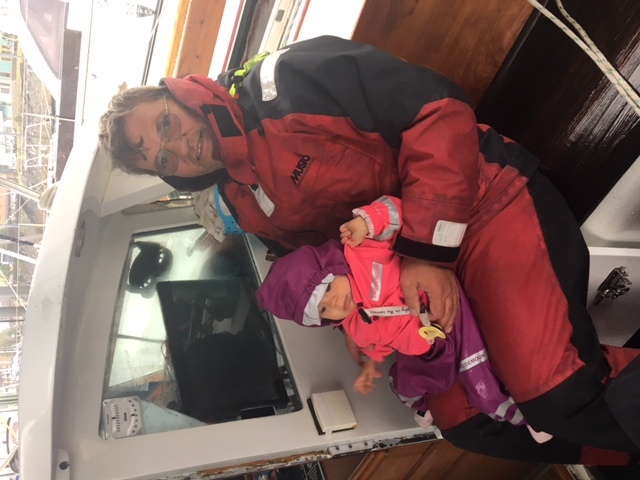 Anna and Kally we will miss you all too, but specially the potential new crew mate. 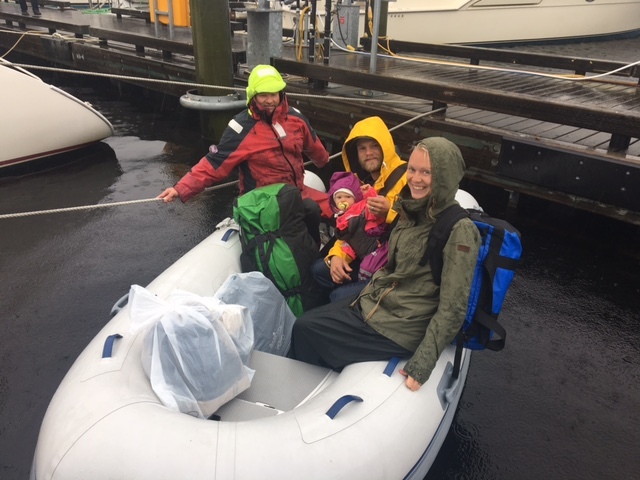 Kally getting Hilma all bundled up for the dinghy ride to the airport across the narrows. Proud Farfar says it's goodbyes.